For my citytrip to Madrid, I was accompanied by my youngest daughter Elizabeth and a friend of hers. Now Elizabeth loves football and she’s got a couple of teams she supports including Real Madrid. 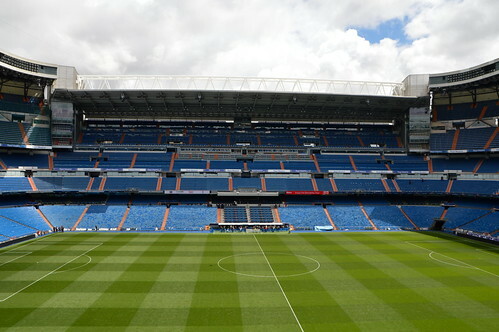 So today’s travelpost is all about football… and stadiums… and goals… sorry for all of you who aren’t exactly football fans… but this too is Madrid! 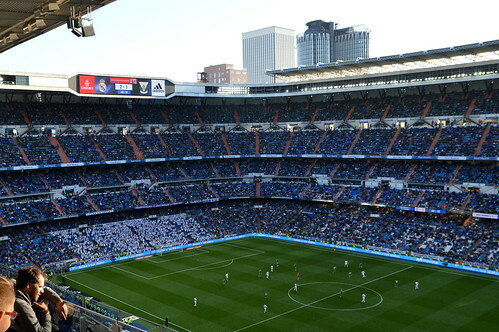 We went to the Santiago Bernabéu stadium twice: on Saturday for a match and on Sunday for the tour. 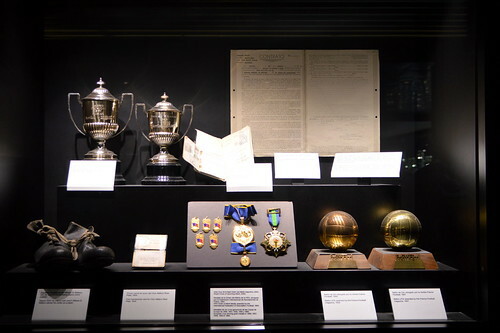 In today’s post I will tell you a bit more about what we saw and experienced ànd I will give you some tips should you want to visit Real Madrid yourself! 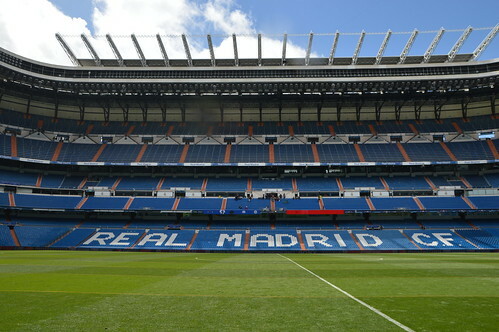 I’m not exactly the world’s biggest football fans, but I can appreciate a good game… and when that game is played in Madrid… in the Santiago Bernabéu stadium, you can be sure I’m keen to go! And Elizabeth was just over the moon when we saw a first glimpse of the stadium and pitch. We arrived quite early, but unfortunately our stand wasn’t indicated clearly, so we ended up doing a couple of stairs too many. The stewards however where very helpful so about 45 minutes before match time, we installed ourselves on the stand, soaking up the overall atmosphere and seeing both teams during warm-up. The game itself could have been better. 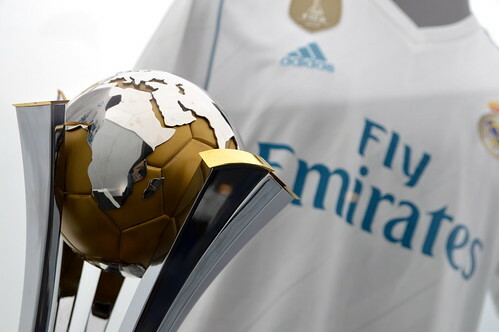 Real Madrid played against Leganes, a lesser known team from the Primera Division. It got a bit hot for Real during the second half with lots of chances for Leganes, but in the end Real won… phew! You don’t want to travel that far to see your team lose know do you?! I have attented Manchester United games in the past and the atmosphere was always very lively on the stands. 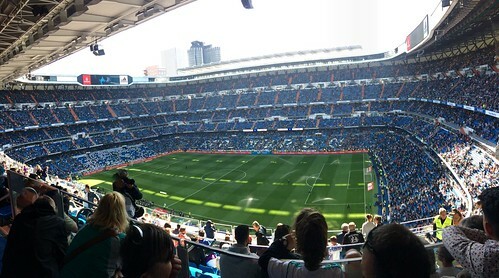 I expected a similar ambiance during the Real Madrid game, or even a bit more so due to the southern flamboyance of the Spanish. I must admit however, that the overall atmosphere let me down a bit, probably due to the fact that there were a lot of foreign tourists in our stand. 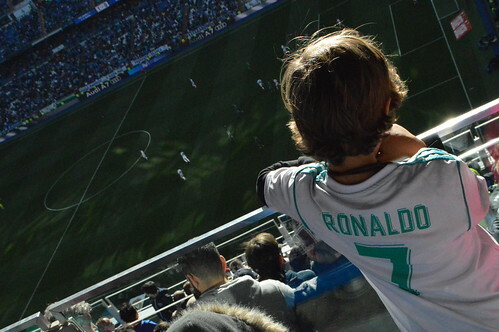 Anyway, we enjoyed the game and my daughter was so excited to have been able to see one of her favourite teams in action… mission accomplished! If you’re not a member of the club, you can buy tickets about one week prior to the match (see website). The prices of the ‘normal’ tickets are also very expensive… prices start at about 50 EUR!! If you order your tickets online, it’s possible you won’t sit next to eachother! When I ordered our tickets, we didn’t have much choice. However, on the stand, there were plenty more seats available (probably from season ticket holders that couldn’t attend the match), so in the end we could sit next to eachother. 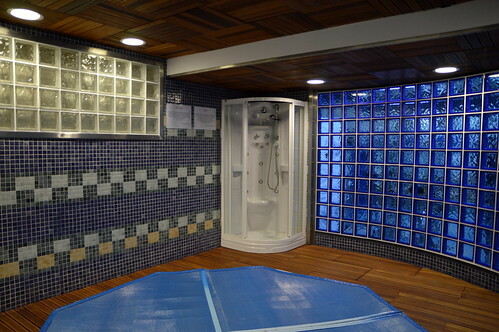 The regular tour is self-guided. You can hire an interactive audio-guide which gives you even more information and footage. When you hand in the audio-guide at the end of the tour, you can leave your e-mail address and you will be sent the videos you watched on the audio-guide. You can book a guided tour which is more expensive. You can buy your tickets in advance. We didn’t as we didn’t know when we would visit the tour so we had to queue for about an hour! 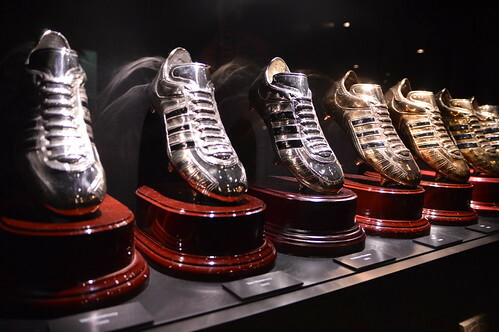 On some days visits are limited (matchdays,…). Make sure to check the website to avoid surprises! 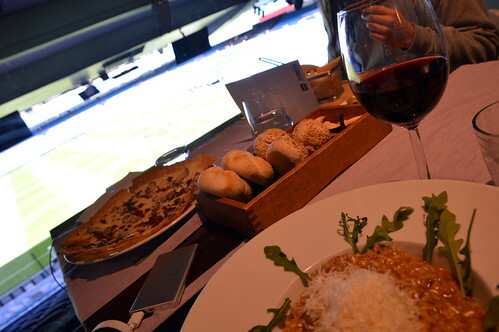 After our tour, we had a late lunch in one of the four restaurants of the stadium. All four of them offer a view on the pitch. 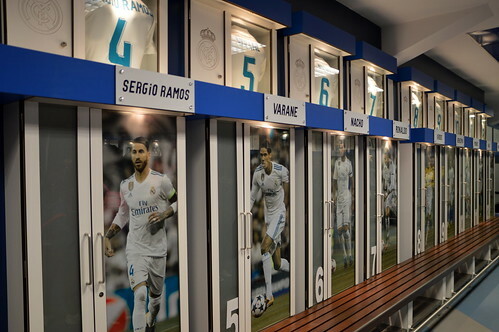 So I guess if you don’t want to do the tour or if you don’t want to attend the match, you can still get a bit of Real Madrid vibes whilst eating! Make sure to calculate enough time for your visit. 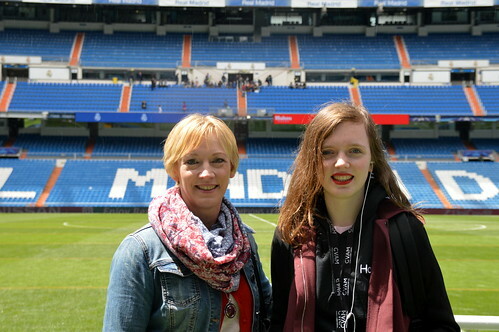 We spent about 5 hours at the stadium (queueing, tour, visit to the shop and tour). Make sure to check the website for opening hours and prices! That’s it! 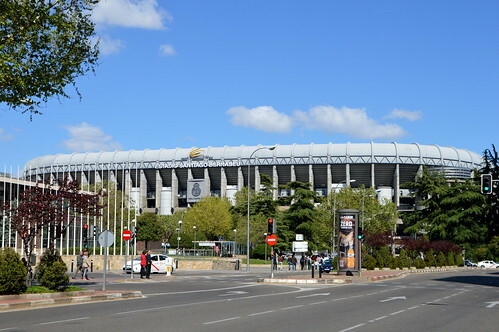 I hope that I gave you some useful tips should you want to include a visit to Real Madrid during your citytrip. 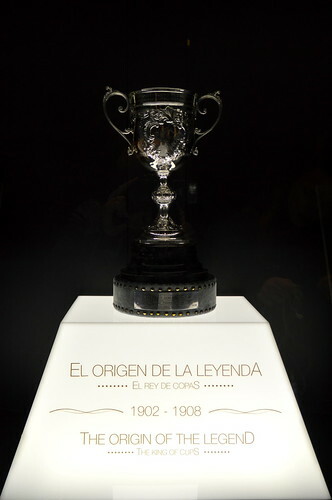 It’s something I wouldn’t have done if it wasn’t for my daughter, but in the end I’m glad I saw it as it really is a part of Madrid’s history! 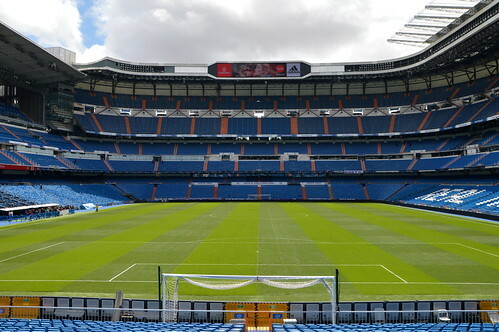 This entry was posted in Spain, Travel and tagged real madrid, santiago bernabéu, Spain.